Why I’m doing my part, to keep toxic fumes out of your paint, the air you breathe, and your home. I have always been “that” girl. The one who seemed to be allergic to everything. One day sitting in yet another Dr. office covered in a rash struggling to breathe, a doctor finally said something that made sense. “Everyone is allergic to these toxins. Your body is sending you signs before cancer or other serious health problems happen.” THAT was my “A-HA!” moment. I had to make a decision, stop doing what I love, or get out there and create something non-toxic that will hold up to life. I take this mission very serious and love what I do, so if you are tired of temporary or toxic paints give us a try. Want to join the Rescue Mission? Learn more about our wholesale program. 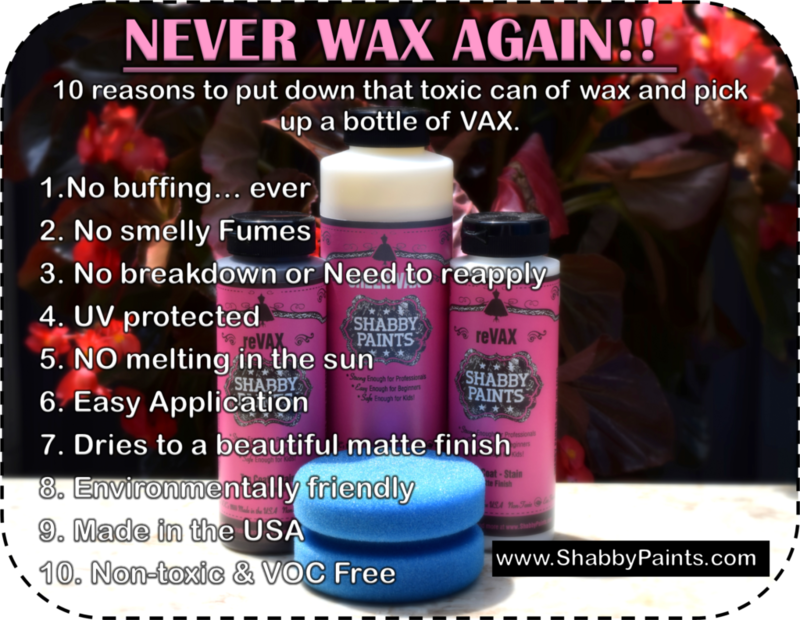 Every Shabby Paints product is non-toxic, ZERO V.O.C., and made/owned in the USA. Who Should use Shabby Paints? Our retailers are more than just someone who sells Shabby Paints, they are passionate and knowledgeable business owners who care about your health, the environment and only the highest quality paints. 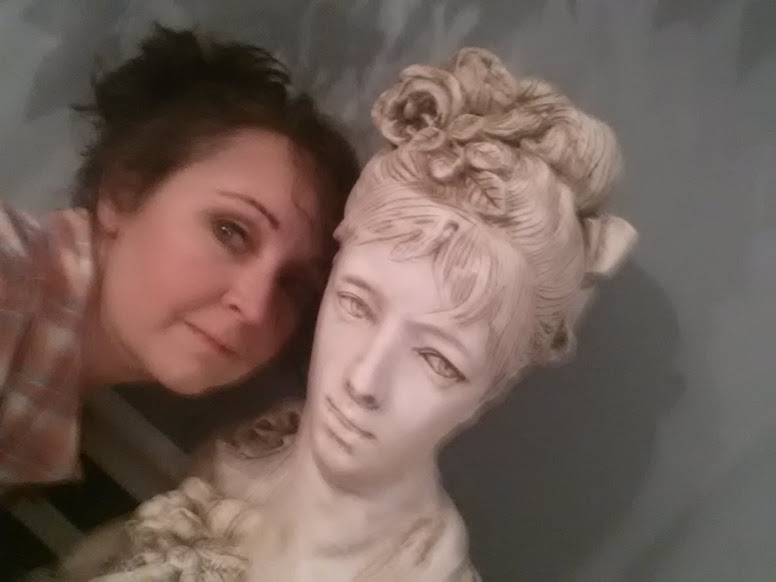 They are here to help you make decisions and inspire you to create your next work of art. If you aren’t lucky enough to live in driving distance of a Shabby Paints Stylist check out the Stylist map and whoever is closest can help. We have lots of online Stylist with online stores too. Look for the shopping cart icon on our map. What the heck is VAX & reVAX? During my journey of painting and being sick I found that I hated the waxing process almost as much as I hated how sick it made me. So I invented VAX. 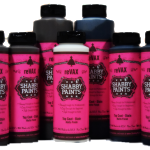 A Varnish product that finishes with the look of wax but doesn’t have to be buffed or reapplied. So put away that toxic can of wax and get ready to wipe on a quick drying finish that will give you a lifetime of enjoyment without the headache! reVAX is our tinted top coat: White, Hazelnut, Black & Driftwood. One small business at a time. Shabby Paints is a true American made and owned business. One of the benefits of International Trade, and a free market economy, is choice. If market demand is high, goods from all over the world become easily available to us. More choice means competition and competition brings the highest quality products at the best prices. So it’s no surprise that many boutique paint companies originate overseas, and then come to the U.S. to vie for a share of the market. At Shabby Paints, we’re proud to offer a superior alternative. All Shabby Paints’ products are developed, manufactured, and packaged in the U.S., which means a much smaller carbon footprint is left behind in order for you to get your products. In addition, U.S. production means sizable savings on shipping costs to our Retailers, which are then passed to our customers through lower pricing. Need fast online support? Not a problem we have a great support group with lots of stylist and customers ready to help you make your next project a success. We are a family, so keep it clean, non-toxic, and about Shabby Paints. Our Stylist volunteer their time to help, so let them know how much you appreciate them. The last five years have flown by. I’ve been blessed to meet some wonderful men and women along the way, they have been such an inspiration and keep me excited about what’s next. Reach out to your local Stylist, they’re excited to show you what Shabby Paints can do.